Brew Up a Cauldron of Minecraft Fun! Do you love Minecraft? Do you want to get the most out of the game? Do you want the special abilities and advantages over enemies you get from potions? If so, you’ve come to the right place. Blue Steve, a 4-year Minecraft player, presents a complete guide to potions, including the new 1.9 update. 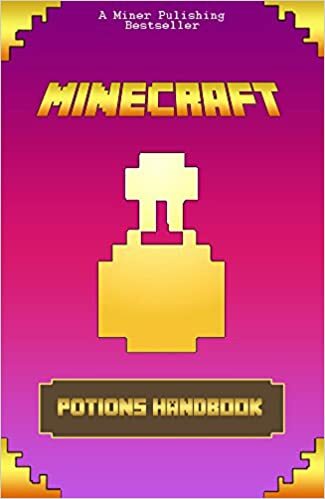 In his Minecraft: The Potion Handbook: Ultimate Brewing for Noobs to Masters in Minecraft, Blue Steve describes how to make your own potions, many powerful potion recipes, and how to get the ingredients you need! 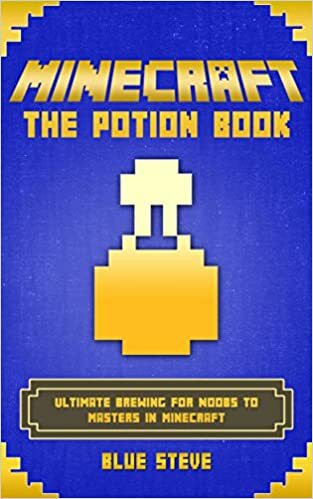 Minecraft: The Potion Handbook: Ultimate Brewing for Noobs to Masters in Minecraft is available for Download Now. 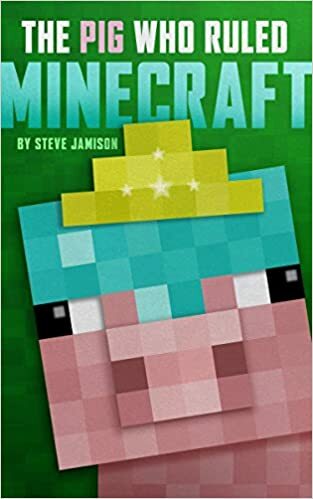 In this book, Blue Steve explains how to get the equipment and ingredients you need for your Minecraft potions. After crafting a Nether portal and taking your first harrowing trip, you can start crafting bottles and brewing stands. You’ll love collecting ingredients like carrots, dragon’s breath, and Ghast Tears! You’ll also find our about the myriad types of potions you can use to gain multipliers, special abilities, and combat advantages! Superior Building Techniques and Designs. Outstanding House Ideas and Building Secrets. Mansions, Modern, Castles, Villas, High-Tech and more. Explore Minecraft features you never knew about! Build those amazing creation you've seen on minecraft videos! This is the only minecraft books or minecraft handbook you'll ever need! You'll be able to build amazing buildings in no time with this minecraft secrets handbook, using these minecraft tips, and minecraft tricks. 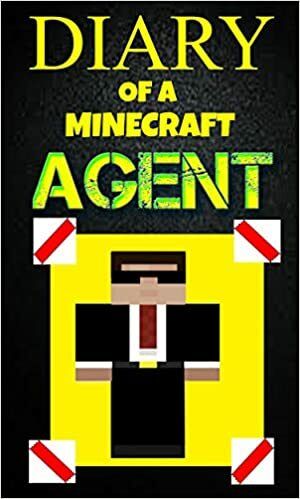 This is the first part of Minecraft Agent series. Jack is chosen by Notch for an extremely secret mission called 'Project Z'. This mission is very dangerous and there is no promise of success but this mission is essential for the future of the Minecraft world. 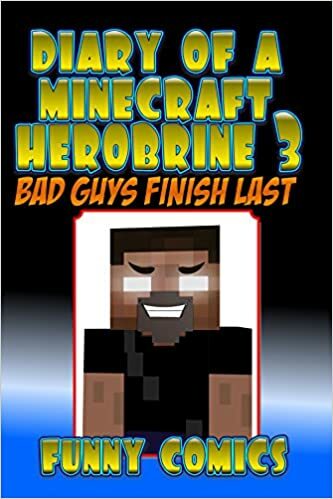 Rare, dark and guarded secrets of Minecraft will be revealed in this action packed saga. 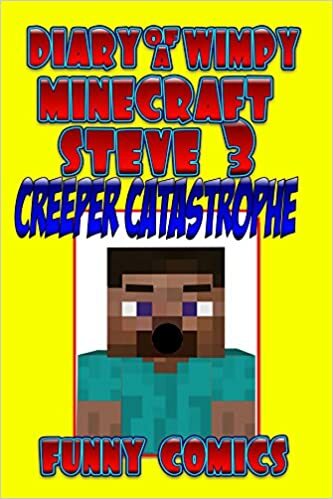 Diary Of A Wimpy Minecraft Steve 3: Creeper Catastrophe! 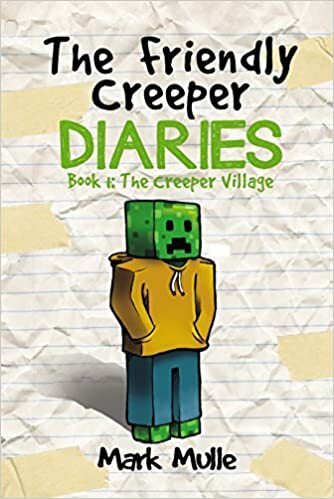 It’s Steve Vs The Creepers in Diary Of A Wimpy Minecraft Steve – Creeper Catastrophe! Minecraft Steve returns home to find his town smoking after a Creeper attack! What’s worse is that Steve learns this isn’t the first attack that’s happened since he’s been gone, but the third! 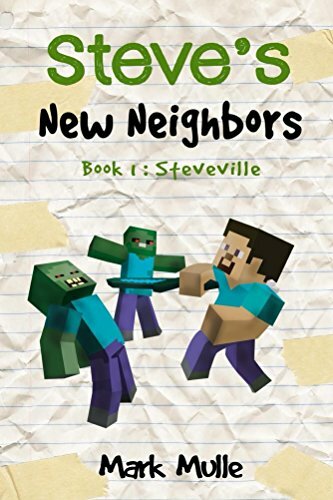 The entire town turns to Steve to find a way to stop the Creeper attacks, but what can he do!?! He’s not sure what to do, but resolves to find a way. Will he? Read this illustrated short story to find out! 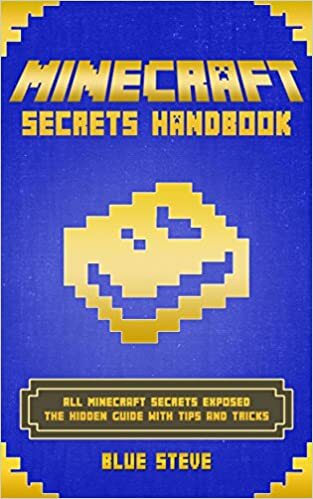 Are you ready to discover powerful Minecraft secrets that will help you whether you’re playing Minecraft survival mode, Minecraft creative mode, or even Minecraft pocket edition? Well luckily enough for you, you will get all of this and more in this Minecraft handbook. So what are you waiting for? 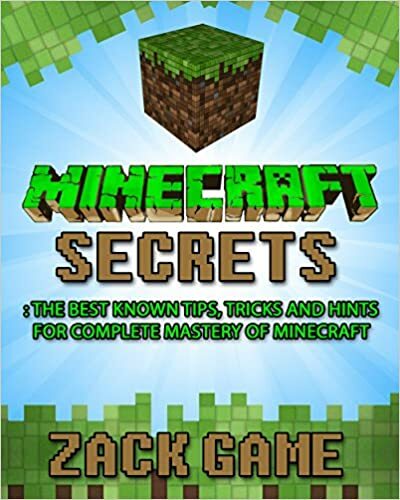 Start reading now to start discovering some amazing Minecraft tricks and hints! Felix is an ordinary farmer with an ordinary dog and an ordinary life. He happily spends his days tending to his crops, expanding his fields, and occasionally, going into the nearest village of Rivertown to stock up on supplies. He decides to set out for an adventure which will be like none he has ever taken. They arrive in Rivertown and meet up with some friends and villagers. But as soon as darkness falls, the troubles begin. The village is suddenly overrun with zombies, and no one knows why there are so many. 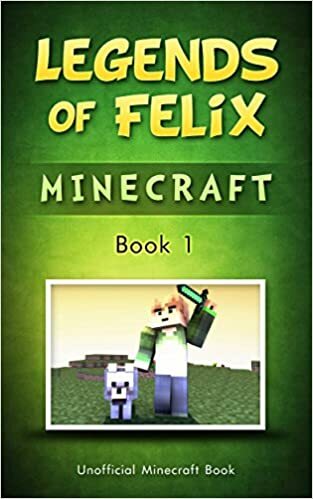 Felix, along with the help of his friends, discover the root of the problem; a zombie villager. But there’s something very different about this zombie, and Felix and his friends, through a series of exciting and dangerous events, seek to find the solution to the problem! Explore the incredible world of Minecraft by learning all about mining, enchanting, and potions! 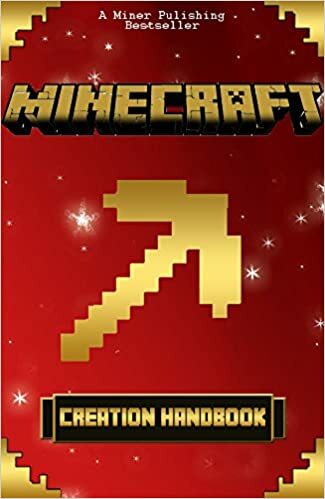 Unlike other handbooks out there, this Minecraft book actually gives you strategies and tips while at the same time offering a nice reference guide! This guide uses step-by-step explanations along with helpful pictures. In this book, I have compiled all the secrets, tips and tricks that will help you become a better player in this game and have more fun playing it. There is an efficient and secret way in doing every activity in Minecraft whether it’s defeating the mobs, finding more sustainable food sources, improving your tools and many more. 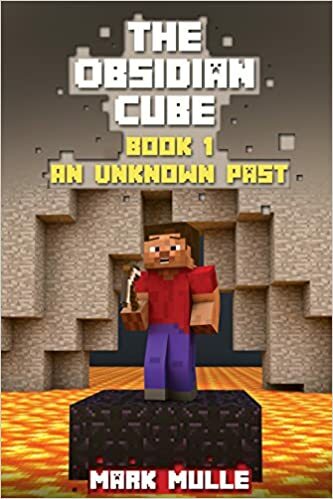 You will find information on how to survive your first night, how to construct efficiently, how to build secret doors that hostile mobs won’t be able to locate. Knowing these stunning secrets and tips and applying them in your game will make you a pro in Minecraft. 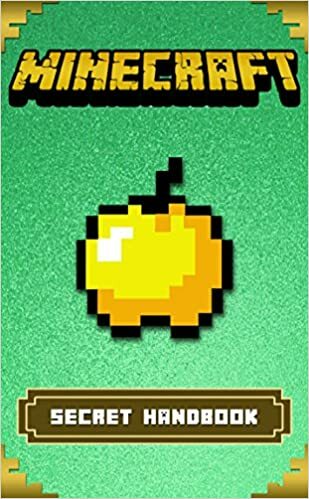 This book is all about helping you learn those numerous tricks and strategies that many Minecraft users don’t know about; so that you could avoid all those obstacles and troublesome faults. Once you learn these tricks and apply them in your game, you will notice an obvious improvement in your play. So don’t think and become an expert today by knowing all these secrets and tricks and crush it at minecraft!! He is alone, lost, and with no memory of who or what he is. All he knows is his name: Steve. Fleeing through the night, pursued by half-glimpsed foes, Steve is rescued by the brave and beautiful Alex. Alex has appointed herself as the defender of a small village that finds itself under near-constant siege by the Mobs under the invincible Draugr: the Skeleton King. As Steve settles into his new home, learning the skills that will allow him to survive in this strange, hostile world, he continues to search for the answers to his own identity. At the same time, he faces other, more urgent questions: what does the Skeleton King want with them? How can they stop him from destroying the innocent villagers? What dark shadow lies across Alex’s past? And who is the grim, dark figure with the glowing white eyes? One Epic Minecraft Adventure! Three Different Perspectives! - Suitable for all age groups. Introducing the "Minecraft War Z" Series!!! Wouldn’t it be cool if you get to experience an epic adventure through different Point of Views! Now you can! 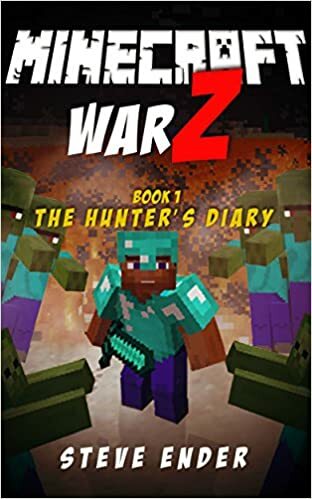 Minecraft War Z Series gives you an unique experience that you have never seem before! One Epic Adventure! Three Different Point of Views! As dark forces are awakening in the Minecraft World. The mobs have already begun to form into armies while many still feel safe in their villages and castles. War is coming to Minecraft; will men, women, and villagers be ready to face the army of darkness before it overwhelms them? And who will save the day? But, one thing for sure we will not give up without a FIHGT! Graagghhh !! Meet Your Minecraft Zombie, Steve. Beware! He’s tall, green, and out to scare! hears what sounds like a little child laughing. It just got dark outside, and no human in their right mind would be out, much less a child. When Steve investigates, he finds a tiny little villager – a child named Beep. Beep is lost, but doesn’t have enough sense to be afraid of anything! It’s up to Zombie Steve to help him get safely home, if he can keep Beep from trying to pet the wild wolves, wrestling in the water with the squids, stealing ribs from the skeleton archers, and tickling spiders! The kitten named Eeebs continues on his quest to learn more about his new self. Will he really be able to grow stronger than any known monster? What does the Nether have planned for him? And who was that villager he saw in his dreams? As he meets new friends, he begins to realize there's much more going on than he could have possibly dreamed . 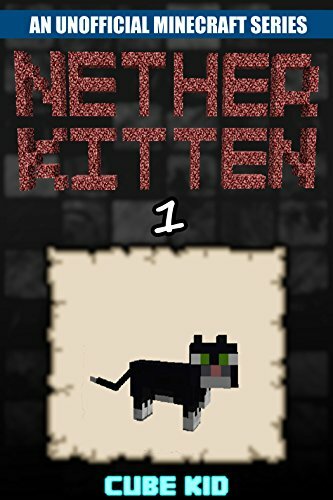 . .
A kitten didn't listen to his mama and went into the Nether . . . It's not so bad, though. He's got superpowers, now. Seems like the Nether has chosen him to save Minecraft. Apparently, a crazy enderman wants to take control of the Overworld and the Nether. Of course, the kitten won't fight alone. He's made a new friend. A ghast. He'll teach the kitten about the Nether and his new superpowers. Can the two of them really save Minecraft? Who is this mysterious 'Runt'? And what of 'Breeze' and 'Pebble'? 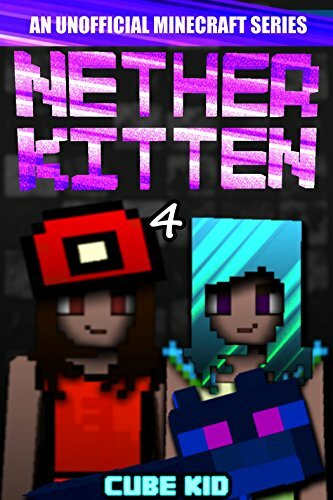 Eeebs the Nether Kitten doesn't know them personally, but he's now on a quest to find them! He also learns the details of his abilities, and realizes how his journey as a hero destined to help save the world has only just begun! 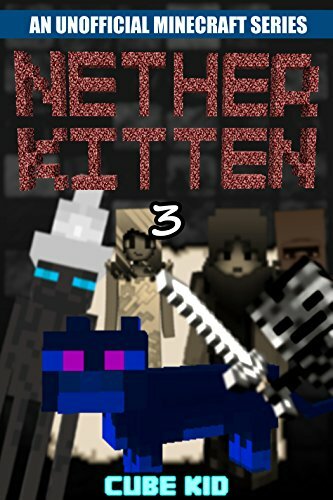 Learn more about a little kitten who can breathe fire and turn invisible, and catch a glimpse of the RPG elements featured in this crazy world, a world that was once just Minecraft, but is now so much more . . .
Steve is an excited new member of a local village. Though he still has a lot to learn about the world of Minecraft, he is doing his best to fit in with his new neighbors in what he hopes will be his permanent home. It does not take long for Steve to discover that the village has a bigger problem, a zombie problem. 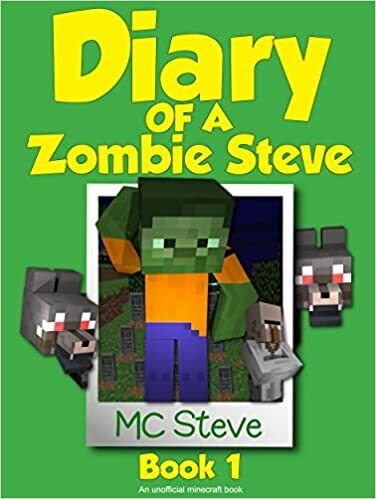 With the local zombie population more organized than any monster group he has ever encountered, Steve will do his best to help the village become a safe place to live. As he makes new friends and learns new skills, Steve discovers that protecting the village will be much more difficult than he thought. Follow Steve’s journey as he attempts to survive in this new world. From upgrading his small home to a castle, establishing his own farm, and attempting to befriend the villagers, there is always something new and exciting in store for Steve. Will he be able to keep the zombies out of the village? Or will all of his efforts start a war that he must be prepared to fight? 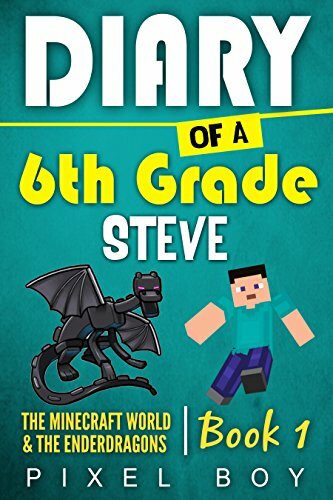 The first book in an AMAZING new series about 6th Grade Steve and his Incredible adventures! This is not your typical 6th Grade story. Follow 6th Grade Steve on his WHACKY and CRAZY Adventure, unlike any other story you've read before! Steve finds himself in a scary new situation! Ender Dragons are not cool! A crazy fight at the NETHER! Steve is on the trail for something?! He meets someone new... A Companion maybe? Plus TONS more inside this adventure! Once you start this CRAZY adventure... You won't want to stop! So Jump Inside and Take action today and download this book for a limited time only!